Troubled Govia Thameslink Railway (GTR) has announced another new timetable but has yet to clarify compensation arrangements and could reportedly be stripped of its franchise as it struggles to restore a reliable service. Update: GTR subsequently announced a compensation package 'funded by the rail industry'. GTR was one of two rail operators whose introduction of a new timetable in May went badly wrong, particularly on the Thameslink and Great Northern parts of its franchise. Last week Northern – the other operator whose passengers suffered disruption – announced compensation for some passengers. GTR has also announced a new interim timetable for Thameslink and Great Northern from 15 July. It said the timetable prioritises peak-hours services and reduces service gaps. 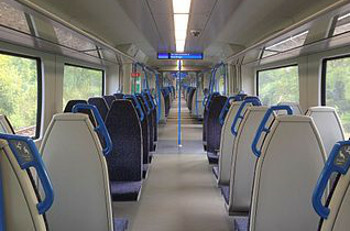 In addition, last week first class sections on all Thameslink and Great Northern services during peak journey times were declassified to create more space for passengers. GTR said this will continue until the interim timetable is implemented. It also has been reported that GTR could lose its franchise if the service does not improve. The paper pointed out that the Department for Transport (DfT) would need to show GTR had breached its contract for action to be taken.